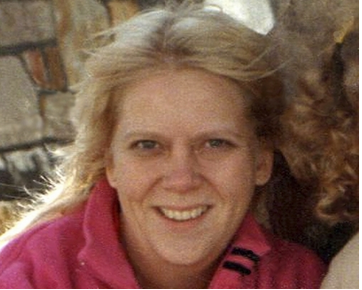 Sara Elaine Johnson Lynch died on Dec. 7, 2015, at Alaska Regional Hospital, from granulomatosis with polyangiitis, a rare vascular disease that attacked her lungs and for which she had been receiving treatment for two years. The third of six children, Sara was born on May 6, 1951, in Hancock, Mich., to Floyd R. and Hazel Rantala Johnson. After her father received his civil engineering degree from Michigan Technological University, the family moved to Idaho, where he started his forestry career. During Sara's first decade, she lived in Headquarters (a logging camp), and in Lewiston, Orofino and Coeur d'Alene, all in Idaho. Her first international travel came as the family moved to Bandar-Anzali, Iran, in 1961, when her father was on a team of Iranian and American engineers who developed logging roads and a sawmill in the Talesh Forest. Sara attended the Calvert correspondence school, made friends with young Iranians, learned about local customs and explored the nearby Caspian seacoast. Returning to the U.S., the family made stops in Denmark and Norway and visited relatives in several towns in Finland. After moving to Anchorage, Alaska, in 1963, Sara attended Wendler Junior High and East Anchorage High Schools, where she played flute in the band and was on speed-skating and cross-country ski teams. She graduated in 1969 from George C. Marshall High School in Ankara, Turkey, where her family lived for a year while Sara's dad was a forestry consultant for the United Nations FAO. Sara earned her Bachelor of Arts in English literature from Alaska Methodist University in 1972. She also did graduate work in art and creative writing at University of Alaska, Anchorage. Married to Ken Rosenstein in 1973, Sara lived in Gig Harbor, Wash., and in Barrow, Juneau and Anchorage, Alaska, where her only child, Martha, was born in 1982. The couple divorced in 1989. She was married to Terrell Lynch from 1993 until 2010. In 1997, Sara moved to Kotzebue, Alaska, where her brother Willie's family lived. There, she worked for Maniilaq Corp. and as an eligibility technician for the Division of Public Assistance in the Alaska Department of Health and Social Services. She transferred to the division's Anchorage office in 2010, where she worked until her retirement on Sept. 30, 2015. Sara's father, Floyd, died in 1986. Sara is survived by daughter, Martha Rosenstein; mother, Hazel R. Johnson; and siblings, Maggie Johnson (Jim Cucurull) of Anchorage, Willie (Jennie) of Chickaloon, Alaska, Martin of Anchorage, Ellen (Brian) Burnett of Girdwood, Alaska, and Louise (Mike) Lane of Anchorage; and nieces and nephews, Maija (Dean) Lukin, Saima (John) Chase and Elsa (Zach) Carroll of Kotzebue, Summer Capet, Luc Johnson and Nils Lane of Anchorage and Jani (Suzanne) Lane of Lakewood, Colo.
Michael Bunton will lead a memorial service for Sara at noon on Friday, Dec. 18, 2015, at the church, 903 East 13th Avenue. In lieu of flowers, her family requests that donations be made in Sara's name to the congregation's Youth Ministry. Arrangements for Sara's remains are being made by the Cremation Society of Alaska.